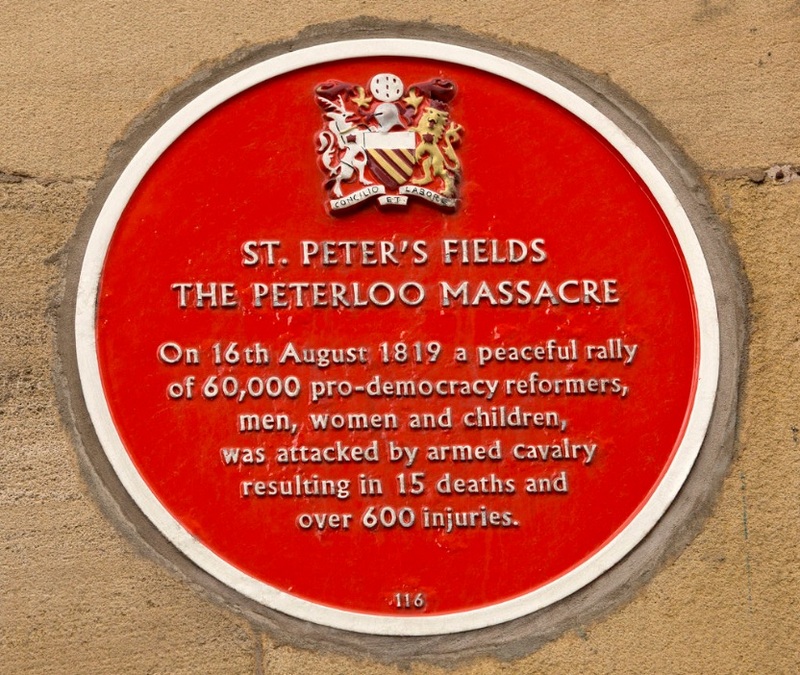 Today is the 197 anniversary of the Peterloo Massacre which took place not far from the museum around the area that is now St Peter’s Square. On the 16 August 1819, 60,000 men, women and children had walked from the surrounding towns – some as many as 30 miles, and many in their Sunday best to gather peacefully and listen to the orator, Henry Hunt. Hunt was due to address the crowds on the subject of political reform. Special Constables had been called to assist in the management of the crowd, under the control of Deputy Constable, Joseph Nadin. Nearby, Magistrates watching the proceedings were panicked by the large crowds, and they ordered the meeting to be dispersed with tragic consequences. Given the size of the crowd, most did not hear the Magistrates and the first they knew of the order was the sight of cavalry charging into the crowd with drawn swords. Panic ensued, with the crowds fighting to escape the military. As a result of the dispersal approximately between 10 – 20 people were killed (sources differ on the exact number) and hundreds were injured. You can see a truncheon carried by a Special Constable at Peterloo today at the museum. We are open from 10.30 – 15.30 with free admission.